2136 16th Ave S #6B, Birmingham, AL.| MLS# 843852 | Richard Jacks UABLIVING.com 205-910-2297 | Birmingham AL Real Estate | Contact us to request more information about our Homes for Sale in the Birmingham AL area. Welcome to Southside! 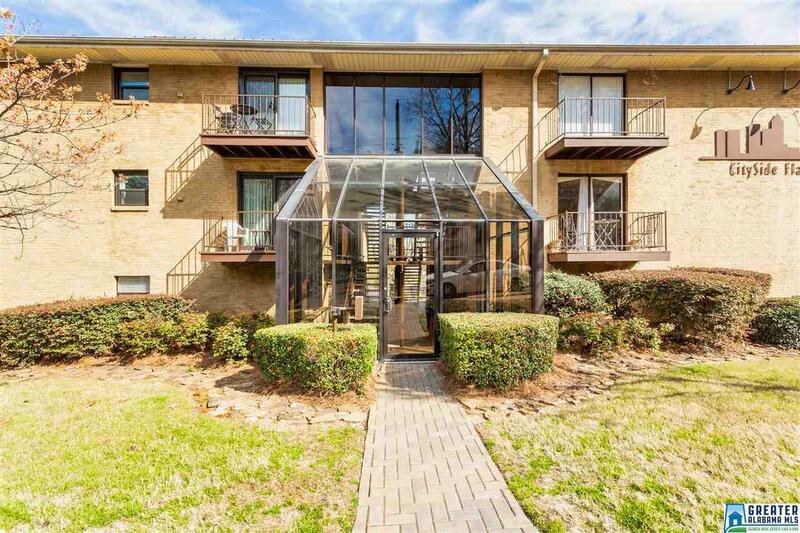 This 1 bed/1 bath condo is located a few blocks outside of 5 Points South. The living space is open to the kitchen and dining space. There is a balcony off of the dining area that offers downtown views. The kitchen features a breakfast bar for 2, a new backsplash (2019), and a new stove (2018). The bedroom is spacious and has newer carpet (2016). The full bathroom has new low maintenance vinyl tile, a new sink, and great storage (2018). The condo also has a laundry closet with a stackable washer and dryer that will remain. The building is secured at the front with a call box, and the parking lot in the back is secure as well. Each unit has a parking spot in the lot. You can easily walk to many restaurants, bars, a coffee shop, and the Woolworth! Also, be sure to note the close proximity to Vulcan. You&apos;ll be in the perfect spot for the 4th of July fireworks! Call to schedule a showing today! Driving Directions: From Richard Arrington Blvd Going North Past Vulcan, Turn Right Onto 16th Ave S. Cityside Flats Will Be On Your Left. There Is Street Parking Available.